Why everybody gets excited when Christmas Season comes? Party – Dances and stuffs? Basically? Yes! – Party like you’ve never done before is an awesome and perfect event this holiday season. But after such, why do we feel empty and incomplete? Simply because Christmas means no Dance and Beers, it is about love, sharing and understanding the real essence of Christ’s birthday. This year’s celebration is very different to me. Reaching out to community and serving them with a little grace enlightened me how the real world works and how we can change it in our own small way. 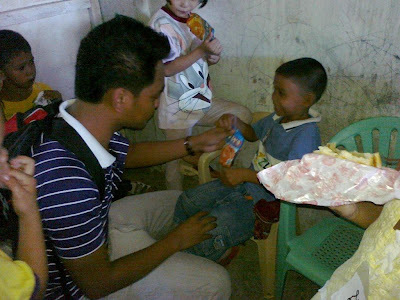 Last Thursday, I was lucky to be part of my employer’s volunteers to attend and assist the Christmas Party of little kids of the Kindergarten section of Lo-ok Elementary School here in Lapu-Lapu City. It was not an easy task - kids are naturally naughty and ear-breaking noise filled the room. Since we started around 3 o’clock in the afternoon, we prepared the snacks and requested those little angels to fill-up two lines. 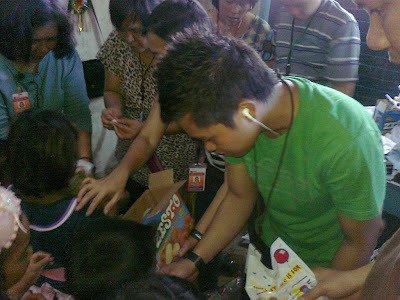 Luckily, our team managed the distribution of foods, gifts and other packages before 4 o’clock. At the end, you will see Angels dancing Waka-Waka. If we have our family with us and a home for comfort, we can say that Christmas is complete. But what can you say to those 213 families who lost their houses and left none? This could be a bitter Christmas for them most especially when the accident is still fresh in their memories. On the first week of November, a fire accident swept houses of 213 families in Barangay Duljo-Fatima, Cebu City. Until now, recovery stage is still on progress. 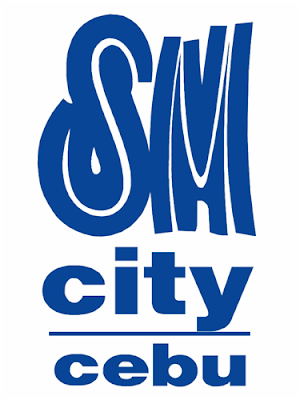 As part of CBSi’s (Cebu Bloggers Society Inc.) Bloggers Social Responsibility (BSR), we planned to help and organize a small gift giving to 50 families who are initially chosen by DSWD and a carolling to be performed by Cebu’s Local Band, the Bethany on December 19, at 4 to 8 pm. And to these Santas(es), thank you so much! Hope the event will be successful and families will be happy.